I have a hobby of restoring a second house that I do not live in. 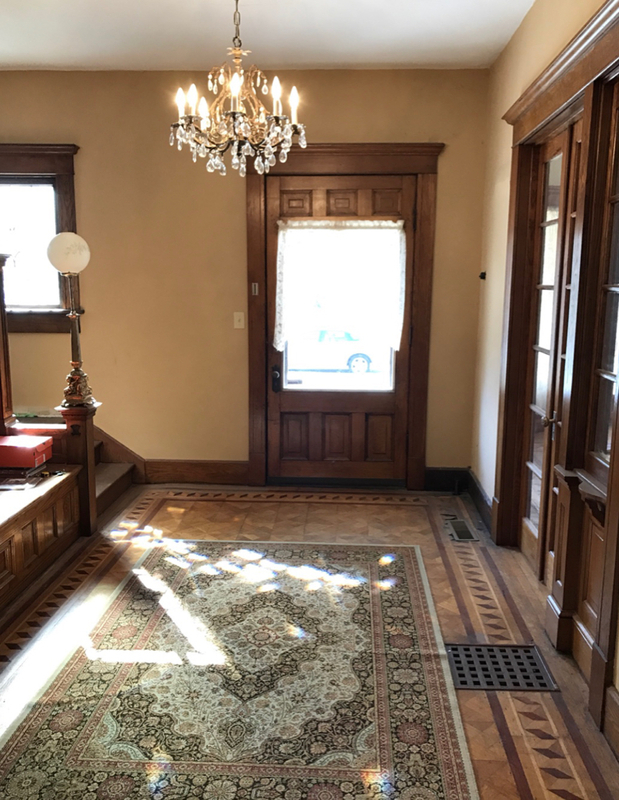 It is a Victorian house built in 1897. This house is roughly 3700 sq ft. It’s architecture is late queen anne. Anyhow I have managed to restore some rooms. I have orderd some 4 rooms worth of very ornate victorian reproduction wallpaper.. My house was extremely ornate as far as flooring woodwork and wallpaper. I have entertained the idea of doing some rooms with wall stenciling but wondered the level of success on 121 year old plaster walls.. wondering if anyone else here has tried this or been successful with wall stenciling and what your method was to obtain clear sharp stenciling? Unfortunately, I can't offer any assistance, but that's a beautiful house. When the missus an I had cable, she'd occasionally find one of those shows on HGTV with a house like this. It was always one of our favorites when this sort of house was featured. MrsWD would love that house. 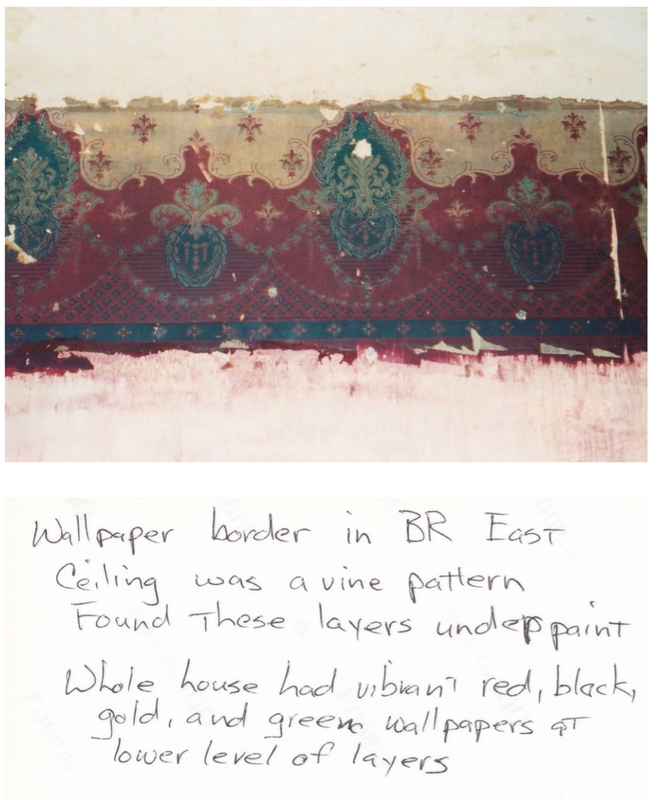 She has restored some Victorian homes and done extensive wall stenciling. It's beautiful to look at, but I would not want to live there. beautiful workmanship. no stencil info though, sorry. I have done some and it's not hard but complicated to do a treatise here. I'd suggest getting more books and see if there is a class in your local community teaching toll painting and like craft. The cliff: essentially you need a short, stiff stencil brush and paint that will behave. Over thinning, of course, would make it difficult to work with. The stencils themselves can be hand cut using available stencil paper, a waxed product. A plotter with a knife would be real handy. It's a tedious job but well worth it in satisfaction. Certainly practice on some drywall scraps. In addition, have you heard of the various ultra thin fabrics that can be applied to plaster walls to bridge spider cracks? In older times they used something called sanitas cloth which was apparently a thin oil cloth applied over wet primer and primed again to capture the material within the paint layer. You can get a fiberglass product today that will work well with water borne-primers. A friend of mine built a period correct mission /craftsman style home. He used a wallpaper for the upper border. looked great ! for the cabinet doors as well as some other features. Another photo. Love the coffered ceiling. I've done only a couple of those in my many years as a carpenter. A lot more raised panel walls and wainscoting and some wrapped beams. Always a fan of great woodworking. Getting back to the stenciling, I think there is more life to stencils than paper. 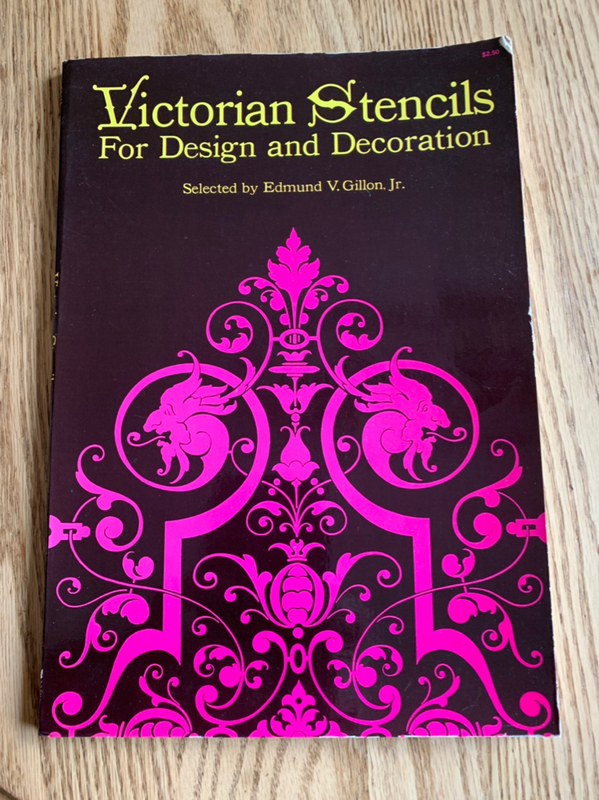 I'm sure the paper manufacturers have just about done all the classic Victorian patterns but with stenciling you can be almost sure your job will be unique and no matching of paper at the corners required. 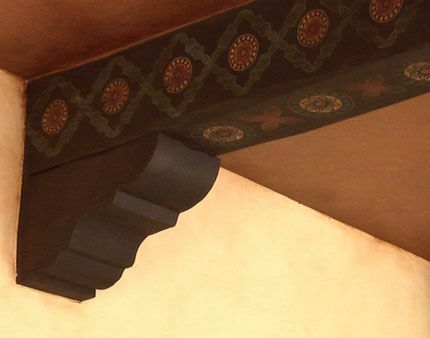 I had a homeowner do something very similar to this in West L.A.
After getting the colors and pattern up we went over it with a thin umber glaze to "age" it a bit. I do the same to cheap framed prints. Makes them look like the old masters (if you don't know siht, like me).